Sport Clubs and Training Facilities. For 40 years, Sport Court has partnered with leading sports organizations to create surfaces that deliver outstanding performance and maximize their athletes’ training, all while minimizing the cost to the facility. Our synthetic suspended gym floor surfaces are tough enough to be the official court for hundreds of sports events, meeting the performance and safety standards required by the NCAA®, USTA®, USA Volleyball®, FIBA®, and the U.S. Soccer Federation®. If you are leasing a facility and are concerned about installing a permanent court, Sport Court is your answer. Its modular nature allows the court to be easily uninstalled, transported, and reinstalled when you move to a newer, larger location. CourtBuilders™ can typically reinstall it in two to three days, making it an excellent choice to retrofit over any hard, flat surface. Plus, it requires less maintenance and repair than most other indoor surfaces. 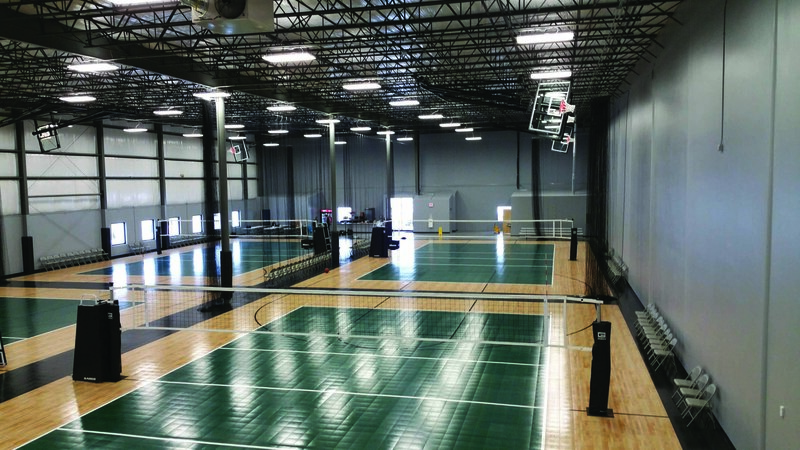 Our local, certified CourtBuilders work with sports clubs and training facilities to custom design and install sports flooring that meets each club’s needs, look, and feel. Industry Leading Warranty: no other warranty offers the same protection as our 15-year limited warranty. Our local, certified CourtBuilders can install high-performance courts quickly and efficiently without adhesive. We also combine the safest court technology in the world with eco-friendly materials to make your recreational areas the best for your communities and the environment. Champions start on our training facilities, and they can push their abilities to the limit without the risk of injuring themselves when they're practicing on the Safest Court in the World™. Our patented Lateral Forgiveness™ and superior shock absorption helps secure athletes when they're working to achieve their next level. Contact your local CourtBuilder to find out more about Sport Court multi-sport courts for your club or training facility.